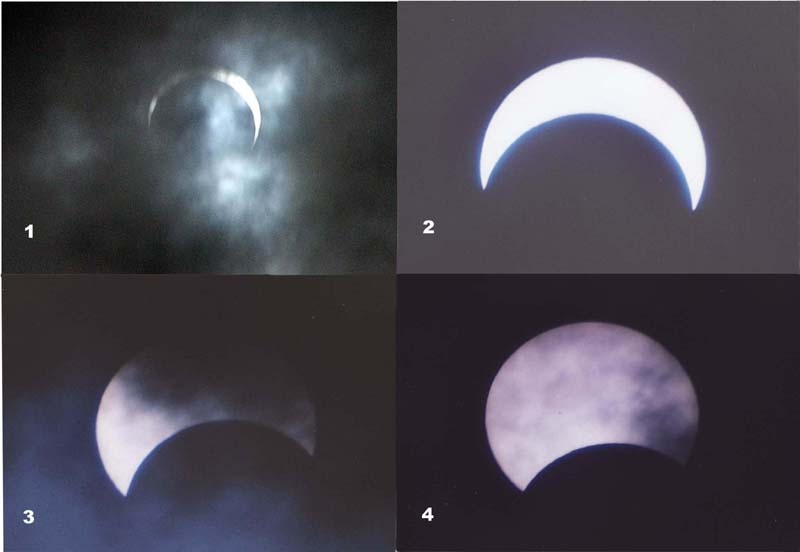 These eclipse photos were taken in October 2005 from Javea in Spain. As you can see the sky had a touch of Cornwall 1999 about it!! 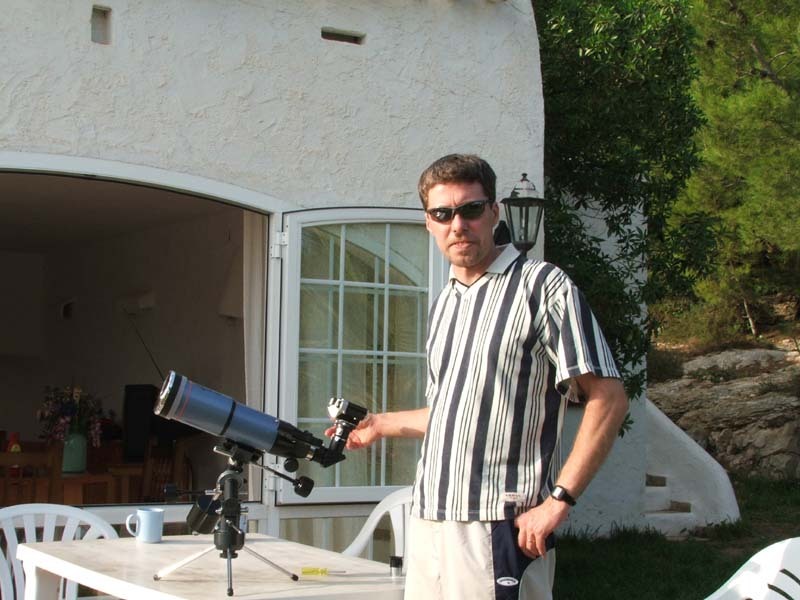 These photos were taken with my little table top Skywatcher 3" refractor and my trusty 35mm SLR with good old fashioned film in it, not a chip (they are best with fish! ).